I've just been too busy to participate in Pink Saturday - too much digital stuff (see post below) but am really happy to be joining in this week. Plus... 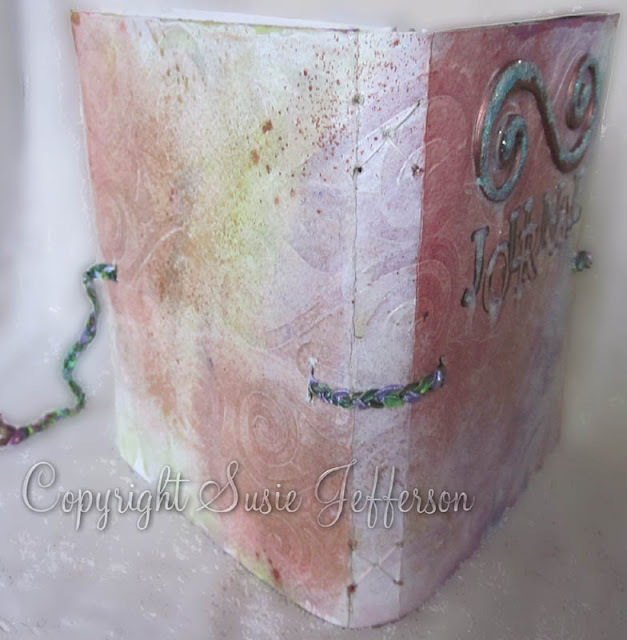 I finished another journal! (It's now in my Etsy shop). Now in my Etsy shop! And if you fancy making your own, my tutorial is in my Etsy shop as well. How pretty! It looks magical Susie! Happy Pink Saturday and have a wonderful weekend! 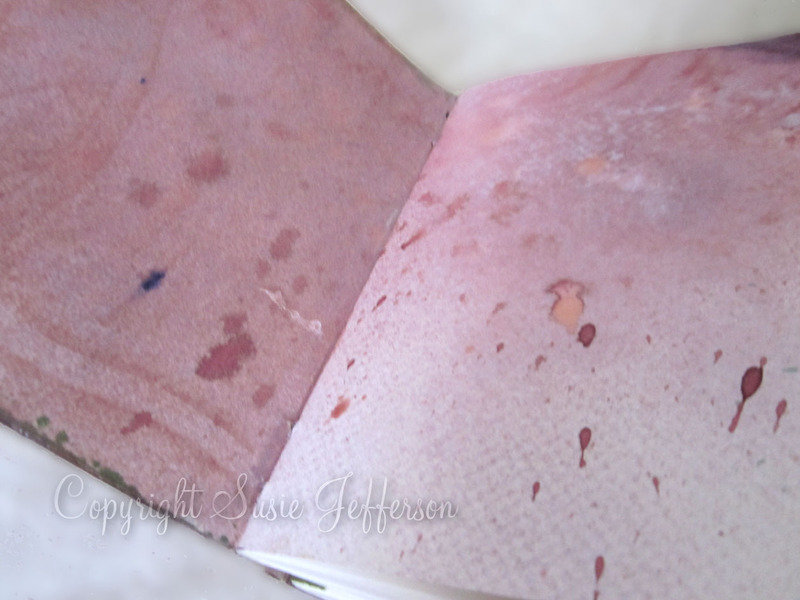 Oh what a lovely journal. The soft pink and pages are so pretty. Thanks for coming by my post. Happy Pink Sat. 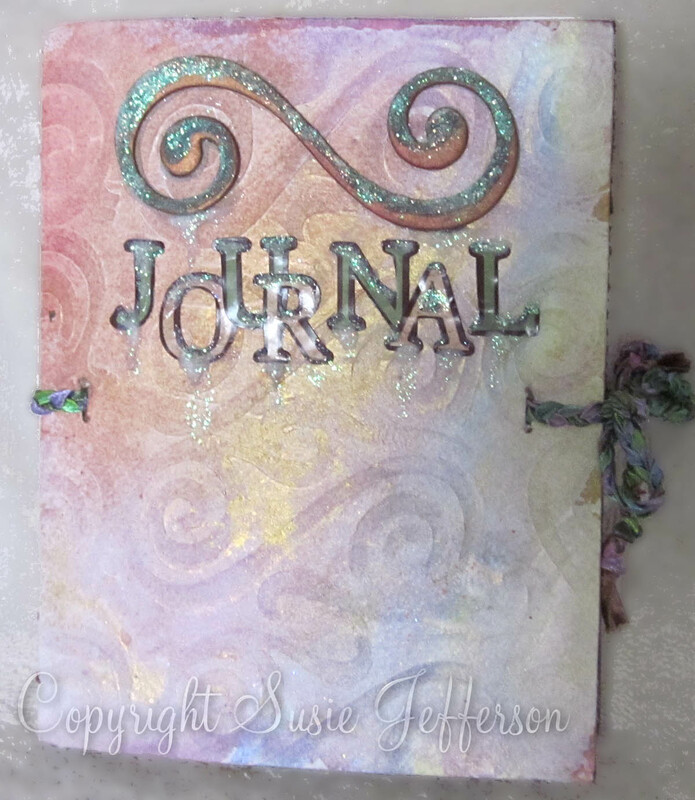 Love the look of this Journal, it's magical! Thanks for stopping by Normandy Life. This is really a lovely journal, Susie. I know it won't last long in your shop. I did visit it!! What a wonderful assortment to choose from...you have been very busy with designing and creating!! You're a talent, for sure! Hi Susie! 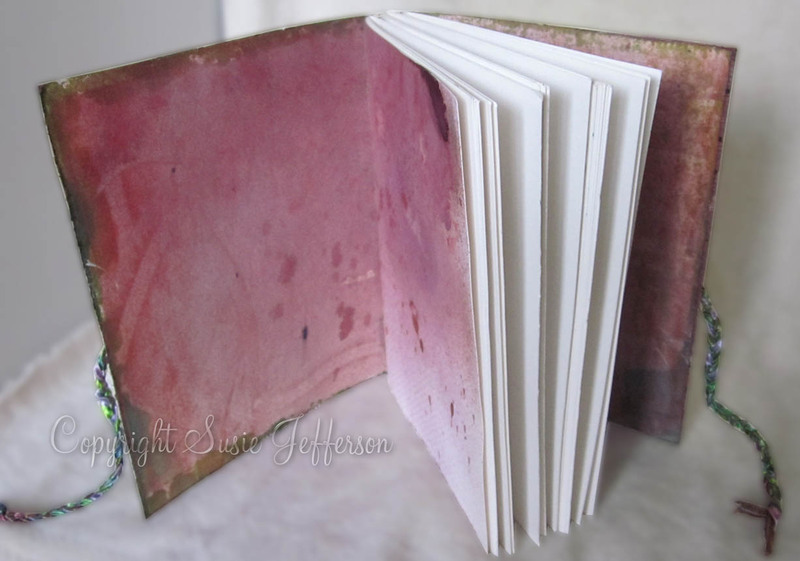 Pretty journal, I imagine anything written in that would be magically transformed into Pulitzer Prize winning material! Thank you for commenting on my post, I'd lost the link to your wonderful site, now I'm glad to have it safely bookmarked! Oh that looks really pretty, and pink makes it even nicer. What a very nice journal you have created. I regret not having started one when I was younger. Back then that was not what was on my mind or maybe did not know a thing about doing it. Oh Susie, I don't like it, I LOVE it! Just fabulous! I am going to check out your etsy store and your tutorial for sure! I know I've visited you before, several times, but I was horrified to see I wasn't following you!! Forgive me! I'm following you now! your art and your blog designs are so awesome! June's Dezinaworld blog looks wonderful!! 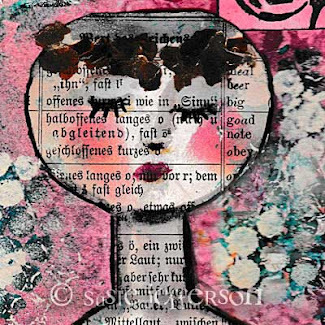 Hello Susie, your art is lovely. Those journals are so nice. 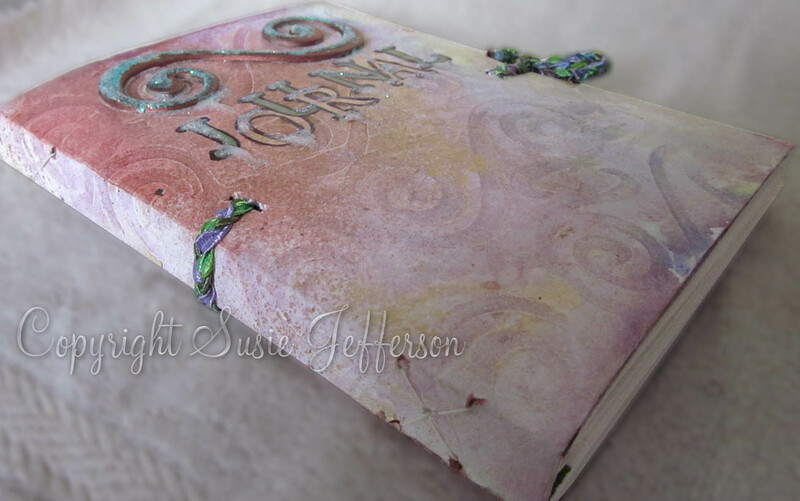 What a beautiful journal! I've added you to my favorites in Etsy. Thank you for stopping by my Pink Saturday! Love your journals they are absolutely gorgeous. So neat and so arty. Hello I'm still making my Pink Saturday visits. Thank you so much for stopping by and leaving a sweet comment about my precious Molly. Your pink post is adorable this week! 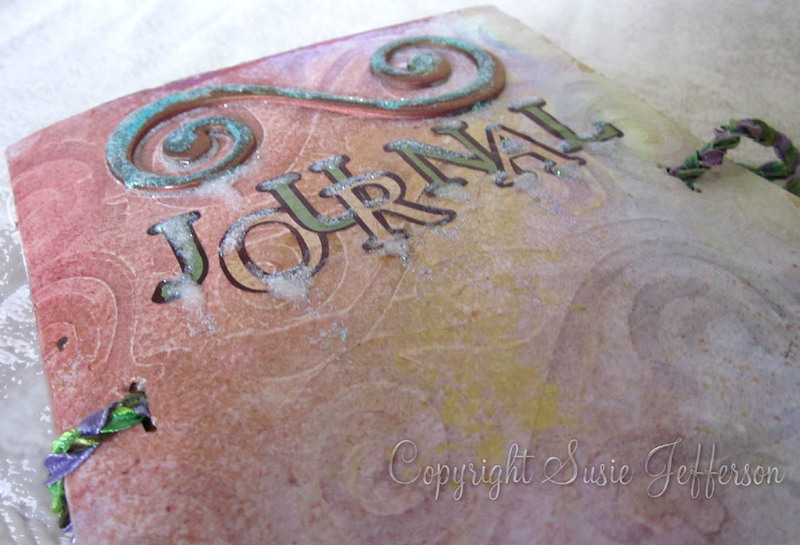 a nice journal to write and decorate in, somebody will be lucky to get it!!! have a wonderful week!